Posted August 1, 2017 by The Rapid & filed under Places to Go. 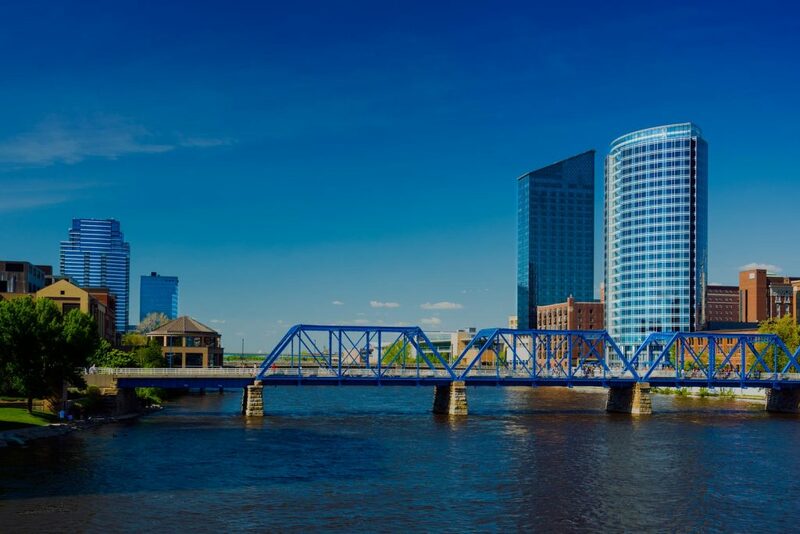 Make the most out of the last full month of summer by visiting events throughout Grand Rapids and Kentwood. This month is especially jam-packed with free and low-cost events for families looking to stick to their summer budget. Whether it’s heading to John Ball Park Zoo with your children or riding the bus to Calder Plaza for the Hispanic Festival, we hope to see you on board as we get you to these great August events. You can purchase One-Day Passes or a 10-Ride ticket to get the most out of your bus travel this month. Don’t forget, children under 42 inches tall get to ride The Rapid for free. Make your way to South Division Avenue on August 4 for First Fridays Gallery Hops from 6 p.m. – 9 p.m. Explore the avenue and discover artwork by local artists, handmade goods and wonderful food and drink specials. Save time and money by riding The Rapid. The Silver Line and Routes 1, 3, 4, 6, 13, 14, and 15 can get you to Division Avenue. Friday, August 4, Ride The Rapid to John Ball Zoo for fun for a family-friendly day at the zoo! It’s just $4.00 per person with a voucher, while kids one and under can enter for free. Vouchers are available at Meijer, Papa John’s, Kent District Library locations and Fox Honda. Kids Day takes place from 9 a.m. – 4 p.m. and activities and live entertainment take place throughout the day. Route 12, 50 can get you there. On Friday, August 4 and 18, visit Ah-Nab-Awen Park for free, outdoor movie nights. August’s movies include Selena and The Bodyguard on August 4 and Remember the Titans and Pitch Perfect on August 18. Free programming starts at 6 p.m. with DJ Adrian Butler and Gabriella de la Vega of WYCE’s El Mundo Musical. Local food vendors will also be available onsite. Routes 7, 9 can get you there. Dig into local fare from August 9 – 20 for Restaurant Week GR. This is your opportunity to “Taste the City” and take advantage of specials from scores of local restaurants offering the price of just $28 per person for a 3-course dinner – or 2 dine for $28 at select locations. More than 60 participating restaurants are serving lunch – just $14 person for a 2-course meal. View participating restaurant menus and start planning your restaurant visits. Come celebrate Kentwood’s 50th anniversary from August 11-12. Taking place behind Kentwood City Hall, there will be food, inflatables for kids, carnival games, community booths, a beer garden, cultural acts and live music including Mega 80’s! Saturday evening will end with a special 50th Anniversary fireworks show. View the full event schedule. Route 2, 44 can get you there. Take a trip to Gerald R. Ford Museum for game night! Bring your own board game or use the museums. For just $2 for adults and free entry for children 12 and under, enjoy board games, explore museum exhibits and enjoy light snacks. This event takes place August 3 and 17. On August 31, visit the museum for a free night of jazz by The John Shea Quartet. Ride Routes 7 and 9 to get there. Make your way to the Downtown Market on Sunday, August 13 from 10 a.m. – 4 p.m. to find your next vintage treasure. This monthly vintage market if your chance to get your hands on vintage clothing, home goods, decor and other items. Routes 1, 2, 5 and the Silver Line can get you there. The sixth annual GRandJazzFest takes place on August 19 and 20 at Rosa Parks Circle in the heart of Grand Rapids. Enjoy performances from notable jazz musicians as well as up-and-coming artists for diverse audiences. No admission is required for this family-friendly event. All you’ll need is a blanket or folding chairs and some snacks. Check out who’s performing! Routes 6, 9, 11, 13 and the Silver Line can get you there. Shop the Mercado, watch a futsal tournament, and so much more at the 40th annual Hispanic Festival will be taking place at Calder Plaza on August 25 through August 27. Mark your calendars for a chance to enjoy delicious food, great music and a mix of culture from different Latin American countries. Routes 11, 13, 50 and the Silver Line can get you there. Every Thursday at noon, ride The Rapid to H.O.M.E. at The B.O.B. for GR Live broadcast live over the air on WYCE 88.1 FM. The show is hosted by Quinn Matthews and features live music from groups playing in Grand Rapids and interviews with people involved in our regional music community. Find out all about music events happening in and around the city while being able to relax and enjoy the performances. The event is free and you are encouraged to attend. Routes 1, 4, 6, 9, 11, 12 and other routes can get you there.